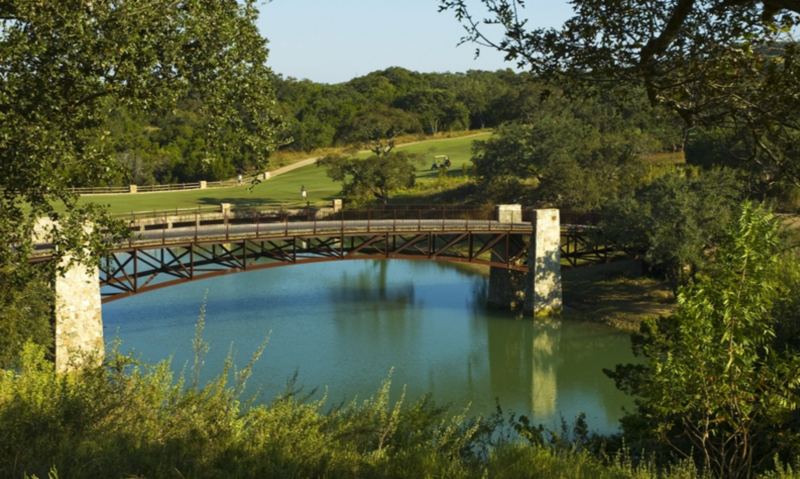 ​Spanish Oaks is a luxury golf community set in the beautiful Texas Hill Country in Bee Cave. Spanish Oaks is centered around an extraordinary golf course designed by Bobby Weed, which was ranked by Golf Digest as the #3 Golf Course in Texas from 2013-2016. The Hillside at Spanish Oaks contains 64 custom homes sites that range in size from .5 to 4.5 acres. The Hillside has separate secured entries, along with a park amazing views of the golf course and Bee Cave. The amazing homes in Spanish Oaks have been designed by world-class architects in a way that blends classic and modern styles. Many of the homes here include pools and outdoor kitchens, along with spacious land so that you can take advantage of the fantastic climate here. Or you can design your own home to your exact standards with the help of a select group of architects. Many luxury amenities await residents of Spanish Oaks. Of course the championship golf course is the focal point of the great things you can do here. The course features the Spanish Oaks Clubhouse which is the perfect place to unwind after a game of golf. The outside lawn is also an ideal place to host your next event. You can also enjoy the park with its fire pit and picnic tables situated under matured oak trees. You can also take part in member events such as Friday family dinners, feature dinners, BBQs, clinics, golf competitions, and holiday events throughout the year. The staff at Spanish Oaks goes out of their way to offer impeccable service, even helping with your private parties or preparing dinner in your own home, or providing private golf lessons. Another outstanding amenity is the The Pool Pavilion at Spanish Oaks. This 18,000 sq foot pavilion features a resort-style pool and a sandy beach shallows for the kids. The waterfall sets the tone for relaxing in the sun or under a cabana. Or you can just relax and watch the game or a fire in the fireplace, or play a game of basketball or volleyball. Feel like fishing? No need to leave this amazing community to catch a few fish. 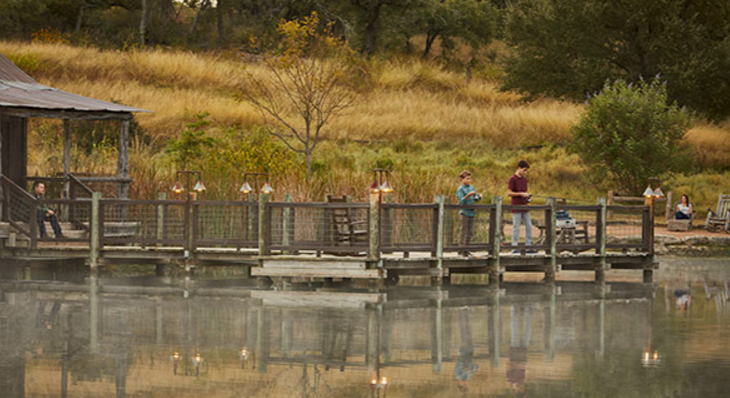 Just across from the pool pavilion is the 4.5 acre Fish Camp, with its rustic fishing dock where you can enjoy catch-and-release fishing for Catfish, Crappie, Bluegill, Perch, and Bass. You can relax in the wooden rockers as you enjoy the peace of nature. The trails and parks in Spanish Oaks offer many opportunities relax and unwind. You can take the kids to the playground or enjoy an afternoon stroll or morning jog. There’s 7 parks in the community to choose from, so you’ll always find plenty to do. The pecan grove is ideal place to go for a bike ride or just enjoy the peace and quiet. And being located in Bee Cave offers other benefits. With shopping at Hill Country Galleria, or dining at the many local restaurants, you’ll have plenty of great local options for shopping and dining. You children will also benefit from attending school in the Lake Travis ISD, featuring outstanding schools like Bee Cave Elementary School. Search for your dream home in Spanish Oaks today!